A 10 Year old Media company from Mumbai identified that its Growth was stunted due to the Talent Loss which created bottlenecks in its Project Deliveries which in turn had an effect on customer satisfaction and losing contracts of customers with relationships built over 10 years. The sector is Media – Advertising and Content, and the company offered Ad Campaigns and Content Design and Delivery. The Brief given to Re-Engineering Business Solutions (RenB) was that the company wanted to solve its HRD issues which included Talent Acquisition , Talent Retention and Talent Management . RenB scope included, Creating a HRD Intervention process which will ensure the Human Capital Management and Development Metrics are implemented resulting in ensuring Talent Retention and mitigating the Retention Risk by creating a Structured Process for Talent Acquisition and Management. RenB started the Project a comprehensive Diagnostics Process using the RenB Diagnostic Framework to Understand the Lacunae in its current HRD Practices. A Detailed Heat Map was generated which clearly defined the areas of Inefficiency in Human Capital Management . 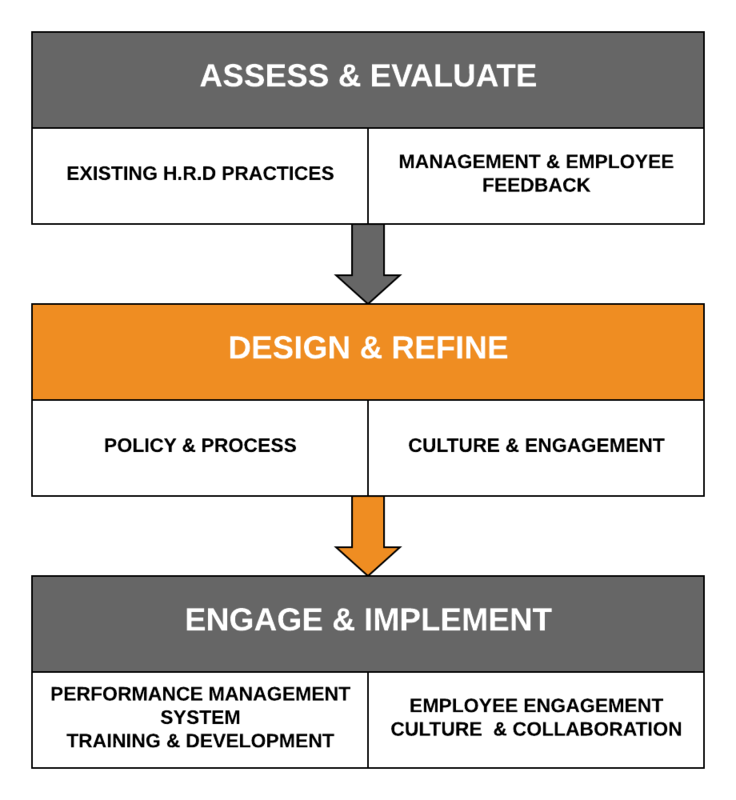 The RenB 62 HRD Employee Policy Framework was defined. The Compensation and Benefits mechanism was tweaked. The Employees found the engagement beneficial to them and the Management started the process of including HRD as a function in their Strategic Thinking . The Attrition which was as high as 30% reduced to 6 % in a span of one year. The Middle Management which was a weak link got strengthened with an addition of 7 Key Managers through Promotions and New Recruitments, enabling a Higher Growth in the second year.